St. Therese – Little Things Mean A Lot! 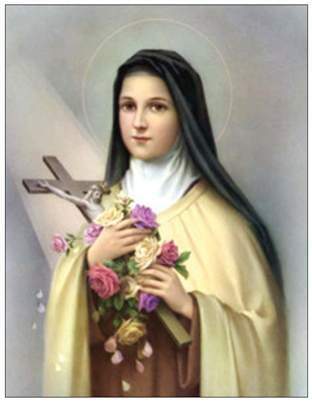 Today, the Church celebrates the memorial of St. Therese of Lisieux. Often referred to as the Little Flower, this great saint and doctor of the Church provides us with a valuable lesson in serving God by doing the “little things”. Through her, we learn that what we accomplish in life matters less than our intentions. Never venturing far from her birthplace in Alencon, this simple Carmelite nun provides us with tremendous insight on attaining our sanctification. As we struggle to perform our daily duties, no matter how mundane or unimportant they seem, doing them for love of God will please Him greatly!